- 2014 new light-vehicle sales up 84% from the recessionary low in 2009 vs. 58% for the U.S.
- The state's Private Attorney General Act of 2004 means individuals can sue employers on behalf of fellow employees and seek civil penalties. Simpler to pursue than a class action. Filing employee gets a percentage of any penalties awarded. - Remedy for most sales contract violations is rescission of the agreement, meaning dealers have to buy the car back for its original price — even if it's been used for 3 years. Creates added incentive for class actions and substantial exposure for dealers. Dealers are eager to buy dealerships in California again. For several years, as California vehicle sales were hurt by the Great Recession and the state struggled to recover, would-be buyers wanted to avoid or diversify away from the state, dealership advisers say. 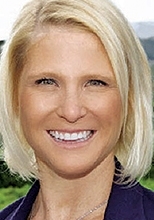 While there are still those who don't want to buy in California, "I'm amazed at how many people are starting to tell me, 'I'm interested in California again,'" said Erin Kerrigan, managing director of Kerrigan Advisors in Irvine, Calif. 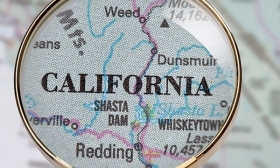 Buyers willing to sing the state song, "I Love You, California," largely are either from outside the state or large groups that want to expand their existing California footprint. At the same time, some dealers already in California still would rather buy stores elsewhere because of what they describe as a climate unfriendly to business -- including high income taxes, complex regulations and a high propensity for lawsuits. In the end, the state's appeal to dealers is simple: sales. California leads all states in total sales and is third in average total revenue per dealership. It also has bounced back more dramatically from the downturn than the rest of the country, with new light-vehicle sales up 84 percent since the recessionary low in 2009, vs. a 58 percent rebound for the U.S. as a whole. Kerrigan: The interest is there. Those growing sales mean plenty of buyers for California stores. Their interest is leading to more buy-sell transactions, increased consolidation, larger dealership groups and the rising professionalization of store operations. Bigger groups, after all, can take advantage of scale, say, by employing in-house lawyers to sift through the regulatory and legal burdens. Brian Maas, president of the California New Car Dealers Association, hears both points of view. "There are a group of dealers who are very frustrated and who would love to diversify or maybe get out of California because they've had enough -- it's a very tough base to do business," Maas said. On the other hand, he noted, the market size means others believe "if you care about being a new-car dealer, you need to be here." Dealership profits are generally healthy, dealers and dealer advisers say. California's dealers sold 1.8 million new cars and trucks in 2014 and, Maas said, are on track to sell 1.9 million this year. "That's twice as many as New York and 10 times as many as Colorado," he said. "We're the best market for new cars, period." But those sales aren't enough to convince some dealers that the Golden State is golden. Dave Conant, a dealer in California for 30 years, wants to concentrate his future acquisitions in other states, particularly Texas, Florida and Arizona. California is "hyper competitive, and that has to do with the fact that it's a robust, really huge, opportune market. But because of the population density, the dealers really sit on top of each other," said Conant, CEO of Conant Auto Retail Group in Newport Beach. Other challenges he cites: high taxes, more employee turnover; expensive and limited real estate; high construction costs to meet earthquake-related standards; and an environment in which dealer franchise protections often are contested. For instance, California law gives dealers the right to protest new or relocated like-brand dealerships within 10 miles. But Conant's nearest competitor is just 6 miles away. Scott Smith, president of Sonic Automotive Inc., says he's not interested in expanding beyond the group's 25 stores in California. Sonic, the nation's fifth largest dealership group, is looking to add new-car dealerships, but not in California, even though the state has produced substantial profits for the group, Smith said. Sonic won't take its EchoPark used-car venture to California, either -- "not in the foreseeable future," he said. "California is the most difficult place in the country to do business," Smith said. "We have a disproportionate amount of legal fees and lawsuits that come out of California, whether it's consumer related or associate related." Rob Kurnick, president of Penske Automotive Group Inc., said, "It's difficult from just a pure finance, retail perspective." The nation's second-largest new-vehicle retailer's 27 California dealerships, out of the group's 244, contribute 13 percent of its annual revenue. "It's very difficult from an employee perspective, and it gets more difficult every day," Kurnick said. "But without a doubt, it is one of the best markets, if not the best market, in the world for automotive retailers. It's terrific." California dealerships are much bigger than the typical U.S. store, producing high per-dealership sales. In 2014, California dealerships had the highest total dollar sales -- $97.69 billion -- of any state, or 12 percent of all U.S. dealership revenues, according to the National Automobile Dealers Association. The average California dealership produced $75.4 million in revenue, behind only Arizona and Oklahoma and well above the national average of $49.2 million. For dealers, those numbers mean opportunity. "California is a difficult business environment, and the taxes are high," concedes David Wilson, president of David Wilson Automotive Group, of Orange, Calif. But, he adds, "It's where the action is." Wilson bought new stores in Nevada and California last year, and he's still on the hunt for acquisitions both in California and other Western states. 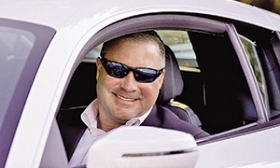 Dealer Todd Blue sees the luxury dealership group he bought in Rancho Mirage, Calif., in 2013 as just the start of his expansion into the state. After acquiring Porsche and Lamborghini stores in Houston early this decade, he added dealerships in California next because of fierce competition to acquire more stores in Texas. "Texas is as friendly of a place to do business as there is in the United States," Blue said. "And California is more complicated. It's a fact. But it is truly the best place to find people passionate about great cars. It's the car lovers' place." In Rancho Mirage, a wealthy resort community, Blue's indiGO Auto Group now represents eight luxury brands. City officials there have a pro-business mentality, Blue said, offering special tax incentives to local businesses. Lithia Motors Inc. also is eager to buy more California dealerships. Lithia, the nation's eighth-largest dealership group, has 30 stores in California, including several that came with the acquisition of DCH Auto Group last October. "It's a large part of our future growth strategy," Lithia CEO Bryan DeBoer said. Still, margins are narrow, he noted, and some of Lithia's markets in the state haven't fully recovered from the recession. AutoNation Inc., the nation's largest new-car dealership group, still wants dealerships in California but primarily to round out its portfolios in markets where it does business, CEO Mike Jackson said. It completed two such deals last month, buying a Mercedes-Benz store in San Jose and a Chrysler-Dodge-Jeep-Ram store in Valencia. 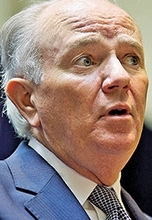 But AutoNation is not looking to enter new California markets. The reason? It already has "a huge presence in California," Jackson said. California contributes 18 percent of the company's revenue. In Texas, said Jackson, the attitude is: "How can we help you be more successful?" By contrast, in California, "the attitude is: 'You know, you're privileged to do business here, and we're going to make it as difficult for you as we can,'" he said. "It is still a cultural shock on a short airplane ride to go from Texas to California." That difference can affect transaction pricing, said Alan Haig, president of Haig Partners, a dealership buy-sell advisory firm in Fort Lauderdale, Fla. While big, highly profitable stores still command high price tags, concerns about the challenges of operating in California "might hurt the pricing a little bit, versus a state like Texas or Florida where the cost of doing business is lower," Haig said. "I can see how a Mercedes store in Texas might bring a higher multiple than one in downtown L.A."
Even so, Haig says he is seeing a lot of buy-sell interest in the state. Dealers frustrated by compliance and legal hurdles are more likely to want to sell. And dealers with financial resources and professionals on staff to navigate California's challenges are more likely to buy. California will see more consolidation than other states, Haig predicted. Maas, head of the state dealers association, already sees it. While the association's dealership count has been fairly stable since the recession, the number of dealer principals is declining, he said. He would not give numbers but said he expects the trend to accelerate. Economic good times mean sellers will get more for their stores now. There's nothing wrong with big groups and the professionalization of the car business, Maas said. But "the more complicated we make the business, the harder it's going to be for smaller operators, less well-capitalized operators to be able to survive," he said, "and I'm not sure that's a good thing."